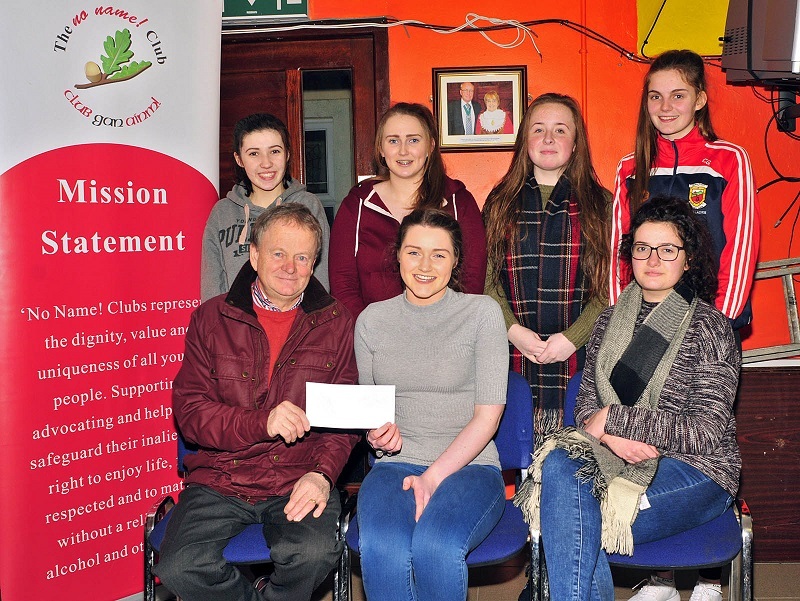 Pictured at the presentation of a cheque from John Wimsey of Kiltimagh Graves Services to members of Balla No Name Club to cover the cost of their project restoring the Packenham family headstone to its former glory, front l-r John Wimsey, Kiltimagh Grave Services, Rebecca Kiernan, Treasurer, and Saoirse Fletcher, Chairperson. Back l-r; Shauna Freyne, treasurer, Aoife Connor, PRO, Lisa Mallee, secretary and Clodagh Gilmartin, PRO. Photo © Ken Wright Photography 2016. Recently a man was offered a room on the second floor of a hotel he was booking into. To his amazement on the landing on that floor was a painting of ‘A fair day in Balla'. Overcome by curiosity he enquired about the connection between the hotel and Balla to discover that the original owners of the hotel were the Packenhams who had connections in Balla and were related to Lord Longford. Following an ongoing study by Balla No Name Club they discovered that the last of the Packenhams to die in Mayo was John Packenham (October 20th, 1928) and he is buried in Balla. With the kind permission of The Gleeb Warden Mr John Wimsey of Kiltimagh Graves Services has agreed to restore the Packenham family headstone to its former glory and carry out remedial work. Balla No Name Club would like to thank Mr Wimsey for his generous sponsorship towards this ongoing project.